Democrats Push Infanticide, Abortions Up to Birth But New Pool Reveals Whether Americans Are Pro-Life or Pro-Abortion, This Is A New Record! One of President-elect Donald Trump’s most oft-repeated promises on the campaign trail was that he would make our country great again and he will deport millions of illegal immigrants who were living in the United States. Now, that Donald Trump is the President, it’s clear that he is wasting no time to put that plan into action. Since Trump signed the travel ban, the liberal media strictly criticized Trump’s decision. Illegal immigrants were described by them as innocent people who never cause violence in the United States. 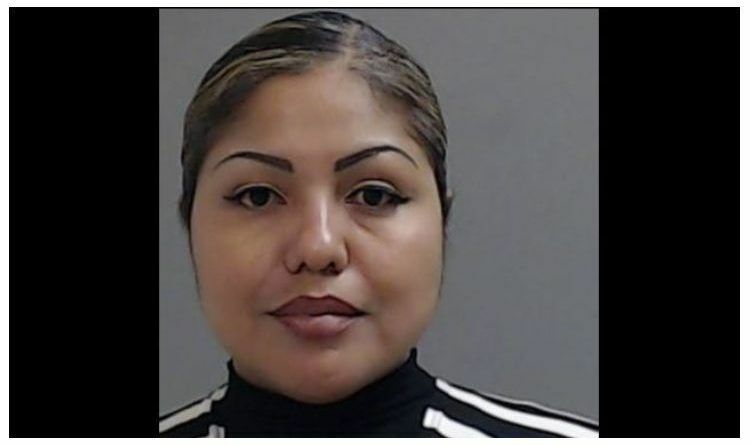 On Tuesday, Attorney General Ken Paxton announced the arrest of Marcela Gutierrez (noncitizen) following his office’s investigation of a voter assistance fraud scheme that took place during the 2016 city of Hidalgo runoff election. Marcela Gutierrez, a non-United States citizen, was taken into custody following an investigation conducted by the AG’s office. On June 3, she was indicted by a Hidalgo County grand jury and charged with illegal voting for marking a ballot without a voter’s consent in a June 2016 Hidalgo city runoff election. Gutierrez purportedly misled a voter to believe she was demonstrating how to use a voting machine when, actually, the accused cast votes on a ballot for a slate of candidates she was paid to support. In Texas, illegal voting is a second-degree felony punishable by two to 20 years in prison and a fine of up to $10,000. Gutierrez also faces 10 misdemeanor counts of unlawfully assisting a voter. Two of her fellow campaign workers are implicated in the same voter fraud scheme. Sylvia Arjona and Sara Ornelas are charged with a total of seven counts of unlawfully assisting a voter, a Class A misdemeanor punishable by up to one year in jail and a $4,000 fine. Arjona is reportedly the wife of Hidalgo County ISD trustee Ben Arjona, according to the McAllen Monitor. The AG’s office said they referred a total of 18 separately filed voter fraud cases against these women for a prosecution to the Public Integrity Unit of the Hidalgo County District Attorney’s Office. This is why the Democrats want open borders, so they can get more votes. They say Russia interfered with the election but they will let Mexico interfere all they want. I think everyone should show their American citizen ID when they vote. If they are over here illegally then they cannot vote. It’s as simple as that. I’m still looking for a legitimate reason why we shouldn’t have mandatory voter ID laws!? I will always believe HC had the popular illegal vote plus the votes paid for by Soros and Trump had the American vote. 2.8 million was the difference and could easily be accounted for as illegal votes from border states. November 2018 we get a chance to stop the radical left-wing Democrats. We need 60 conservative Republican Senators and fill the House of Representatives with conservative members. Make sure you vote and get your friends and family out to vote. It’s up to us to stop this radical assault on our nation by Democrats! What do you think about this? Scroll down to leave a comment below! Alex D is a conservative journalist, who covers all issues of importance for conservatives. He writes for Conservative US, Red State Nation, Defiant America, Right Journalism, and Supreme Insider. He brings attention and insight from what happens in the White House to the streets of American towns, because it all has an impact on our future, and the country left for our children. Exposing the truth is his ultimate goal, mixed with wit where it’s appropriate, and feels that journalism shouldn’t be censored. Join him & let’s spread the good word! ← THE EARLY FAVORITES FOR KENNEDY’S REPLACEMENT ARE HERE! Alex D is a conservative journalist, who covers all issues of importance for conservatives. He writes for Conservative US, Red State Nation, Defiant America, Right Journalism, and Supreme Insider. He brings attention and insight from what happens in the White House to the streets of American towns, because it all has an impact on our future, and the country left for our children. Exposing the truth is his ultimate goal, mixed with wit where it's appropriate, and feels that journalism shouldn't be censored. Join him & let's spread the good word! LINDSEY VONN JUST RESPONDED TO TRUMP SUPPORTERS AND HER RESPONSE IS EVEN MORE SURPRISING! Copyright © 2017-2019 Conservative US. All rights reserved.